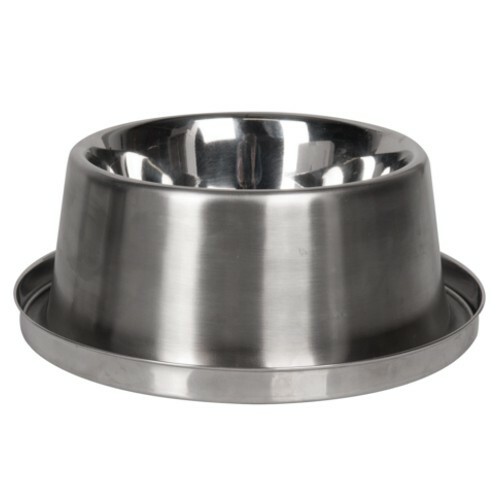 The feeders - water Dish Refreshing for dogs and cats keeps water and fresh food for 12 hours, keeping food safe and preventing aromas and odors. This bowl consists of 3 parts that can be separated from one another: the base, the trough and the interior coolant bowl. This bowl gets into the freezer to cool and, when cool, is placed back into the trough, thus keeps water and fresh food for up to 12 hours at home, or from 5 to 8 hours being in the sun . 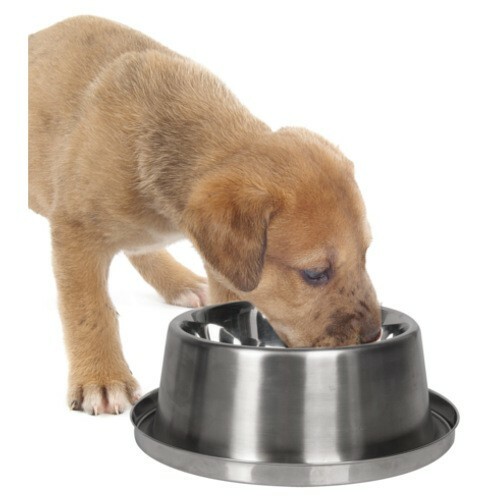 This way your pet always have fresh food and water and in good condition. When the cold effect begins to wear off, just put back the bowl in the freezer to cool down again. It is very useful for hot days or travel with our pet accessory, so you will have fresh water for hours. 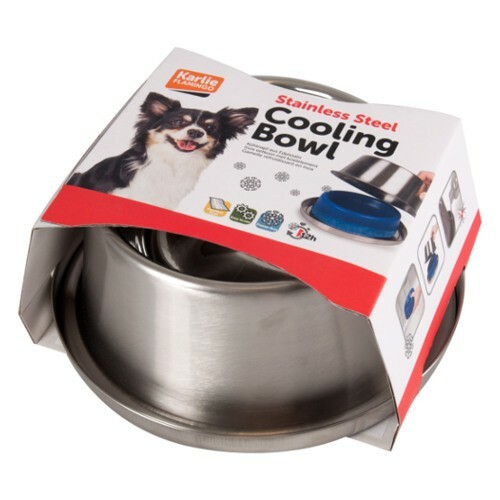 In addition, it is made of stainless steel to provide durability, it can be washed in a dishwasher and is slip resistant to avoid tipping and spills. Also it includes an edge at the bottom which acts against ants barrier so that they do not reach the food. Feeder - Water Dish keeps water and fresh food for 12 hours. Keeps water and food in good condition to avoid odors. Just put the part inside the freezer to cool. Very useful in summer and on long trips with your dog or cat. Made of stainless steel suitable for dishwasher. Includes a lower barrier anti ants. Feeders - Water Dish with core coolant freezes to keep the cold water or the food fresh for up to 12 hours. 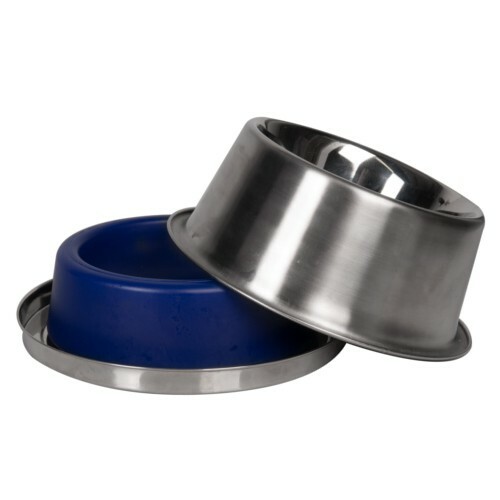 The Feeders - Water Dish Refreshing for dogs and cats provides cold water to your pet for 12 hours.